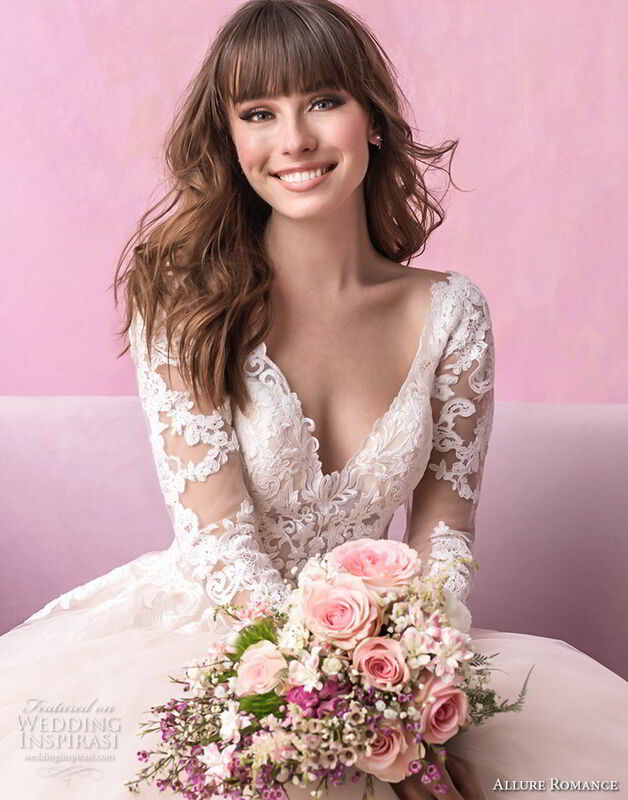 If you’re looking for elegant wedding dresses that are a perfect blend of modern and romantic, you’ll find so much to love in Allure Romance Fall 2018 collection. The new collection infuses contemporary touches to traditional bridal silhouettes for timeless looks with a fresh edge. Some styles we’re obsessed with? 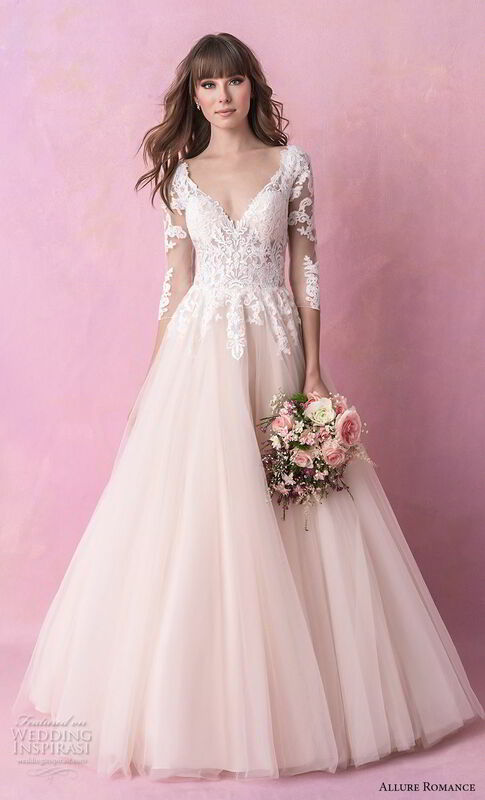 A champagne pink ball gown with illusion sleeves, a floaty tulle A-line featuring a dramatic neckline and sheer side panels, and a intricate lace sheath with the pretties halter neckline. For details, visit Allure Romance.